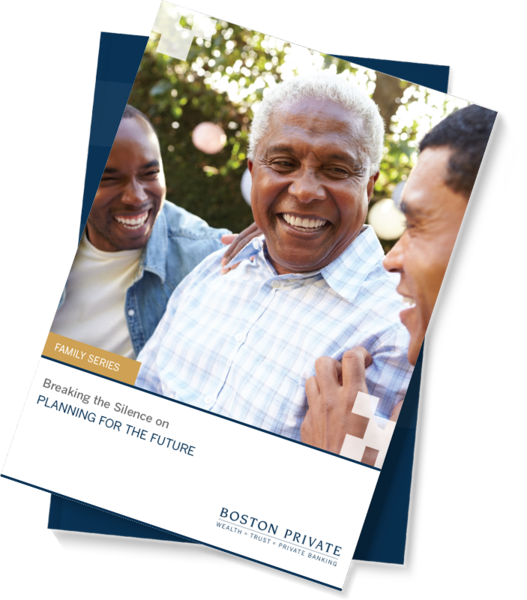 Studies show how difficult it can be for adult children and their parents to talk about their wishes and plans regarding caretaking, finances, estate planning and legacy issues as they age. While most elderly people don't want to become financially dependent on their children, some four in 10 families disagree on the roles the adult children will play as their parents age, according to a study last year by Fidelity Investments. Long-term planning alleviates some of the stress of figuring that out. Families should start to talk before there is a crisis that demands plans to be set in motion. The whole idea is to ensure elderly parents are clear about their wishes for their ongoing healthcare, estate planning, and financial security so that the adult children have a solid understanding for carrying out those wishes. Adult children also need to know where to look for important documents, such as wills and power of attorney. And elderly parents need to overcome reluctance to share information about how they are paying for their living expenses in retirement. In the Fidelity study, more than a third of elderly parents hadn't had any detailed conversations about their retirement planning with their children, and another 16% hadn't had any conversations about it at all. Advisors recommend families meet to talk about these issues more than once, to make sure everyone is informed and in agreement about how plans will be carried out. This means parents have to set their priorities and communicate them, and adult children need to think about what has been overlooked and what needs to be revised and updated. Families need to be flexible as circumstances change, but with the right planning, roles can be defined and plans can be carried out without stress and worry.